-Frasier-. Pictures From the TV mostrar "Frasier". Wallpaper and background images in the Frasier club tagged: frasier niles crane daphne moon kelsey grammer roz doyle martin crane david hyde pierce jane leeves. 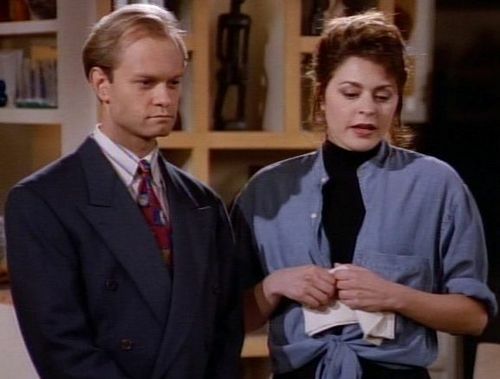 This Frasier photo contains traje de negocios and juego de negocio. There might also be traje, traje de traje, juego, and juego de ropa.